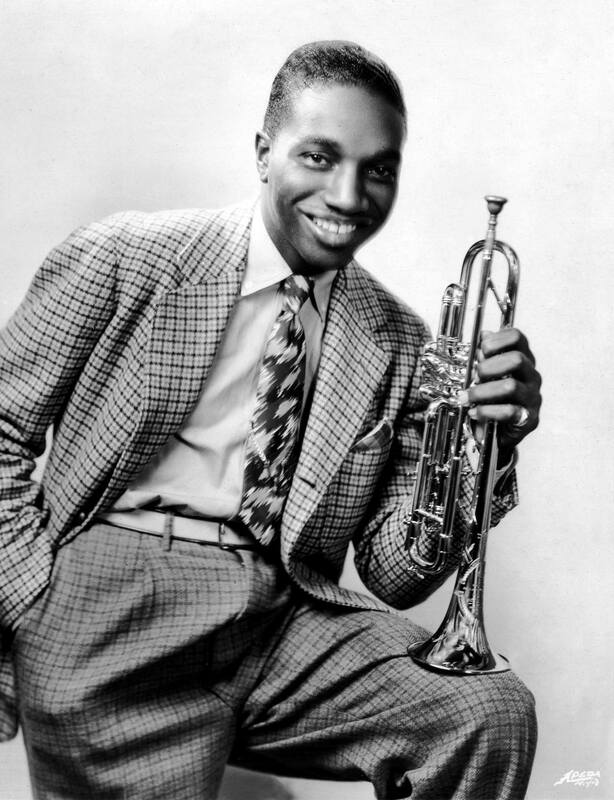 Oran Thaddeus “Hot Lips” Page, jazz trumpeter, singer, and bandleader, was born in Dallas, Texas, on January 27, 1908. He was the son of Greene and Maggie (Beal) Page. Page’s mother, a schoolteacher and musician, taught him the basics of music when he was a child. By the age of twelve he could play the clarinet, saxophone, and trumpet. He joined a local youth band, led by drummer Lux Alexander, that played at local venues around Dallas. Page attended Corsicana High School and Texas College (in Tyler), and worked for a time in the oilfields. He began his professional touring career when he joined Ma Rainey’s band in the 1920s. After leaving that group he toured with Walter Page’s Blue Devils from 1928 to 1931. During the early 1930s he toured with Bennie Moten’s band. In 1936 he joined Count Basie’s band for a short stint and subsequently played with Artie Shaw. Page formed his own big bands in the late 1930s and early 1940s, often playing in New York, Chicago, Boston, and other cities. Between 1938 and 1954 he cut several tracks, including the 1938 record “Skull Duggery” on the Bluebird label. He recorded “Pagin’ Mr. Page” in 1944 and “St. James Infirmary” in 1947. He recorded with numerous bands during his career, including those of Artie Shaw, Bennie Moten, and Eddie Condon.